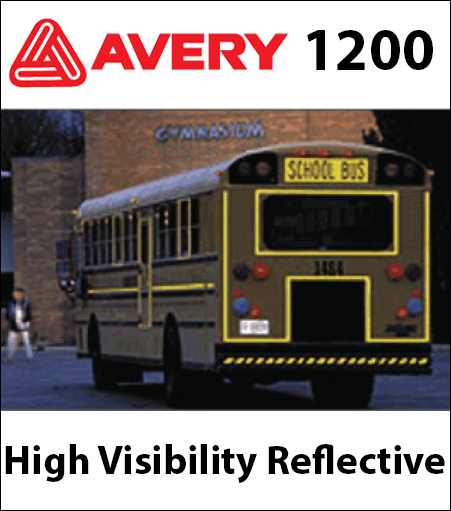 AVERY V4000 High Visibility Reflective vinyl is the industry's broadest line of high-performance glass bead reflective vinyl films in various colors. Engineered for vehicle graphics and commercial signage applications. It is resists heat, cold, water, mild acids, alkalis and salts, gasoline, methyl alcohol, turpentine and kerosine. Avery V4000 is also thermal printable with a 90# stay flat liner. It has excellent conformability to simple curves and meets or exceeds Federal ASTM-D-4956-99.